The University of Chicago is celebrating its inaugural campus-wide Hispanic Heritage Month this September 15th through the end of October. The celebration is made possible through an Inclusive Climate grant. Backed by the Vice Provost for Academic Leadership, Advancement and Diversity, Inclusive Climate grants are part of the University of Chicago’s Diversity and Inclusion Initiative. Earlier this spring, a Pilot Something grant was awarded to launch the Hispanic Heritage Month series, with the hope of establishing it as formal annualized programming. The introduction of the celebration is timely: The incoming University of Chicago undergraduate class of 2021 was comprised of 14% Hispanic or Latino students, and is expected to grow as the population continues to shift in the next decade. The surrounding Chicago community is also shifting – the last census statistics show that Chicago’s Hispanic population grew by 17,000 in a one-year period. For the first time, Hispanics are the second-largest ethnic group in the city. This means about 30 percent of the Windy City’s population is now of Hispanic or Latino descent. In 2017, the University of Chicago made strides to support this critical, growing community. The institution urged the current White House administration to continue the Deferred Action for Childhood Arrivals (DACA) program and expressed a firm stance by sharing these efforts through university wide-communications. The University also welcomed 17 undergraduates, graduate students, visiting faculty from Puerto Rico who were displaced as a result of Hurricane Maria. The Inclusive Climate grant seeks to build upon this momentum in providing additional forums for the University of Chicago to demonstrate that the Hispanic and larger immigrant community are active, essential contributors to its academic, professional, and extracurricular climate. The Hispanic Heritage Month program aims to celebrate the many meaningful contributions of the Latino diaspora and unify the growing University of Chicago Latino community, while also connecting the University to the broader Latino population in Chicago. 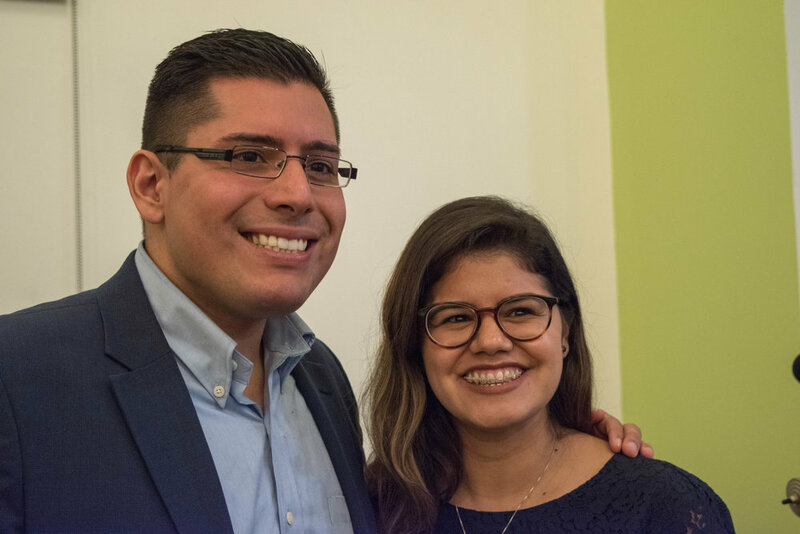 On Tuesday September 25th, the University hosted a kickoff reception featuring Councilman Carlos Ramirez-Rosa, the first openly gay Latino elected to Chicago City Council. The reception was held at the Center for the Identity + Inclusion, which generously opened its space to the community for free for the event. Attendees included representatives from the Latinx student groups and LGBT groups including members of Booth’s OUTreach, as well as community partners including the Illinois Hispanic Chamber of Commerce. Carlos Ramirez-Rosa is a lifelong Chicagoan who has served as a community organizer, congressional caseworker, and currently as the Thirty-Fifth Ward Alderman. He has led legislative efforts to win property tax relief for working class homeowners, paid sick leave for Chicago workers, equality for transgender people in public facilities, and accountability and transparency on municipal financial transactions. He is now working to return surplus TIF dollars to neighborhood public schools, and ensure Chicago is a city that welcomes and integrates immigrants. He is also a product of Chicago public schools. He received his high school diploma from Chicago's Whitney M. Young Magnet High School, and his Bachelor of Arts degree from the University of Illinois at Urbana-Champaign. In his remarks, he encouraged students to remain civically engaged and connected to their heritage and communities. The celebration is organized by the Hispanic Heritage Month Planning Committee, comprised of members from across the university, including graduate students and staff from the Booth School of Business, the Harris School of Public Policy, and the School of Social Service Administration. 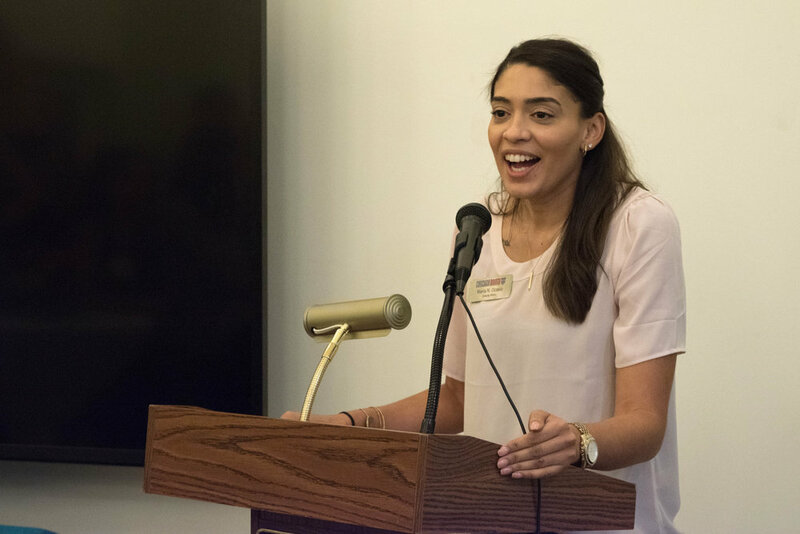 Members of the committee lead campus organizations such as the Hispanic American Business Student Association, the Coalition of Minorities, and the Hispanic/Latinx Resource Group. 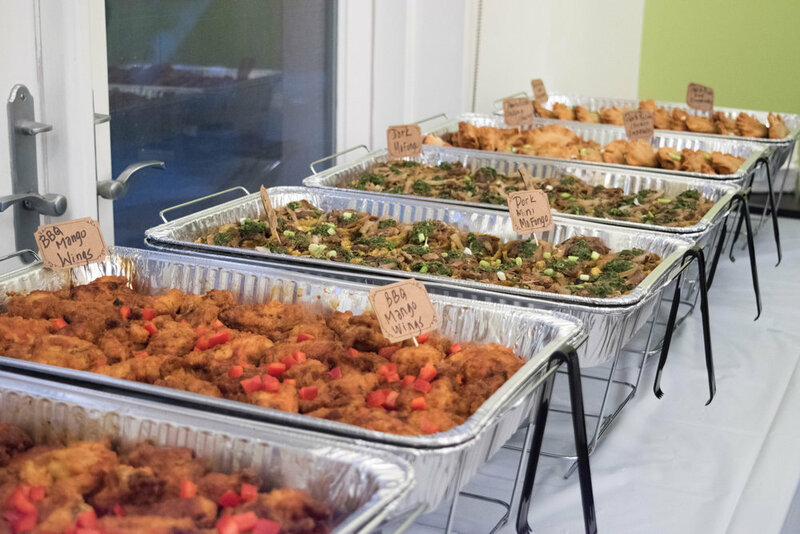 The kick-off reception was one of a series of programs including Pachanga! to be held as the second part of the celebration. Hispanic Heritage Month also seeks to promote broader programming throughout the campus being hosted by other Latinx student groups. The Hispanic community is an integral part of the global leadership of the university, city, and nation in fields such as business and medicine – fields where the University of Chicago has always paved the way for the future. On Tuesday, October 9th the Latino Medical Student Association of the Pritzker School of Medicine will be hosting a lecture by Dr. Ramón Gutiérrez on the Development of the Latino Identity in the United States. Dr. Gutiérrez is a Preston & Sterling Morton Distinguished Service Professor here at the University of Chicago and has authored countless works on the subjects of Chicano/Latin American history, colonial Latin America, and Mexican immigration. On Friday, October 12th several organizations including The Latinx Student Association (LSA) of SSA, the Center for Latin American Studies, Center for the Study of Race, Politics, and Culture, the Office of Multicultural Student Affairs, and the Latino Policy Forum will be hosting a conversation with award-winning journalist Juan González. Gonzalez’s investigative reports on urban affairs, the labor movement, the environment, race relations and political troubles in Latin America have won widespread recognition, including two George Polk awards for commentary and a 2004 Leadership Award from the National Hispanic Heritage Foundation. He is a founder and past president of the National Association of Hispanic Journalists, and helped to found and lead both the the Young Lords Party during the late 1960s and the National Congress for Puerto Rican Rights during the late 1970s. We encourage students to continue to engage in this inaugural university-wide Hispanic Heritage Month celebration and support the University of Chicago in continuing to be a clear, committed voice in celebrating the scholars and students who fulfill the highest aspirations in research, education, and business at one of the country’s foremost institutions of higher education.